Nine months before Frank and Kristin’s wedding, Kristin’s grandmother “Deeta” suffered a heart attack and was rushed to the emergency room. Frank and Kristin immediately packed their bags and drove from their home in Raleigh, NC to Somerset, NJ to be with her in the coronary care unit. As her condition deteriorated, it was clear she would not make it through the night. As Kristin spent her last time alone with Deeta, she described her dream wedding dress… one she was hoping to find for her wedding day. Kristin knew Deeta would be there in spirit to share her special day. Two weeks after Deeta passed, Kristin’s mom visited Kristin in Raleigh for a weekend getaway. Without an appointment, they stopped in Priscilla of Boston – the same week it was announced the business was closing. 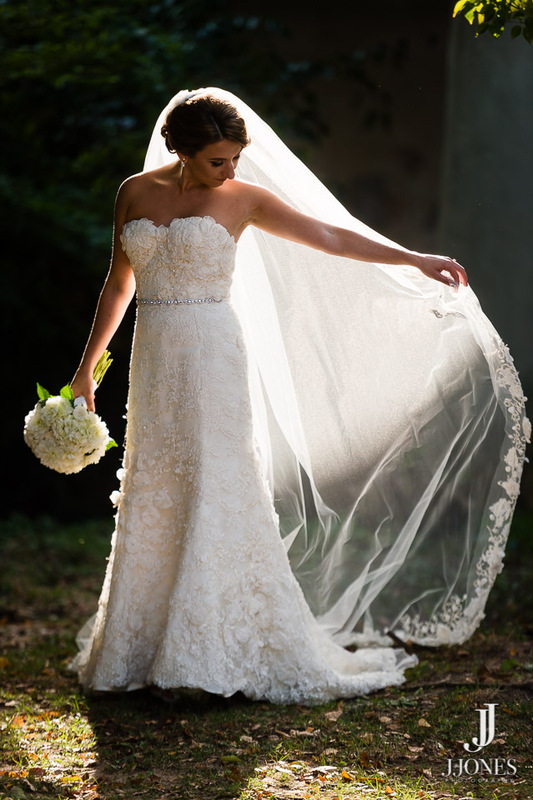 Kristin found her dream wedding dress, Melissa Sweet “Ever”… exactly what she had described to Deeta before she passed away. Kristin immediately knew it was THE dress she was destined to wear on her wedding day. Frank and Kristin had the perfect wedding day, celebrating in Kristen’s home state of New Jersey. 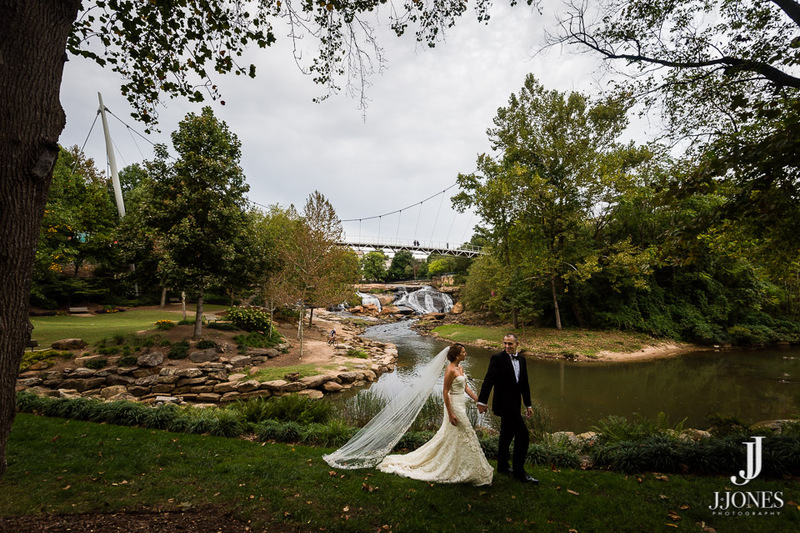 Kristen was able to also wear her wedding dress for their photos, which were taken in Greenville, South Carolina, however, since the couple first met there. These significant moments led the happy couple to each other. Kristen described her dream dress weeks before finding her gown. The couple’s pictures were taken in beautiful South Carolina.